It's that time of year! 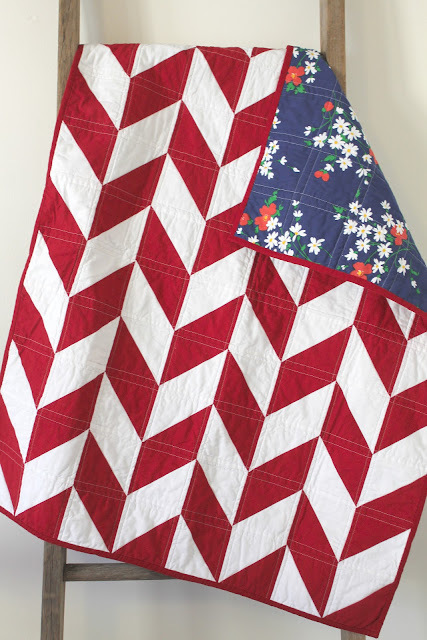 I'm getting the itch to pull out my red, white and blue scraps and create something fun! These are my current five favorite quilt ideas with a patriotic feel to them. This pattern is designed by Amber Johnson (Gigi's Thimble) and looks great with any colors but I particularly love this red/white/blue version Amber made back in 2012. You can find the tutorial for these cute Scrap Jar Stars here on Amber's blog. I've been wanting to make a Scrappy Trip Around the World quilt for a couple of years now, but can never decide on what colors I want to use. 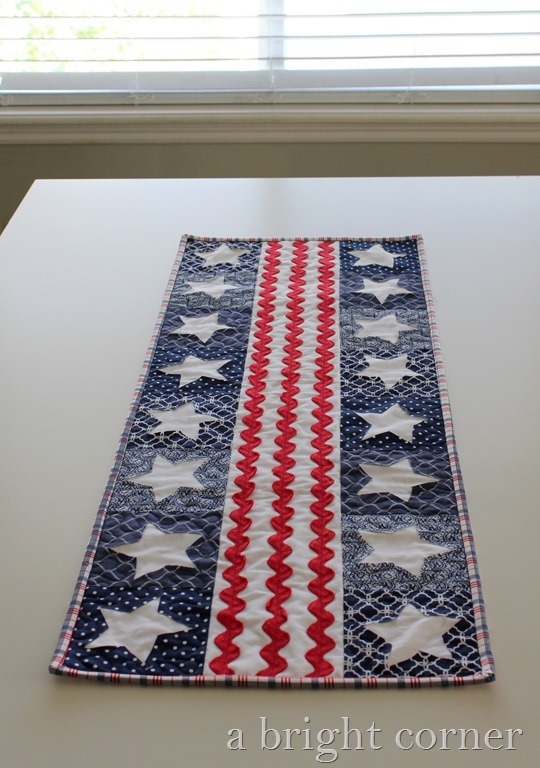 I've seen a couple versions like this one, with red, navy, aqua and white and I love them all. (Check out this one!) 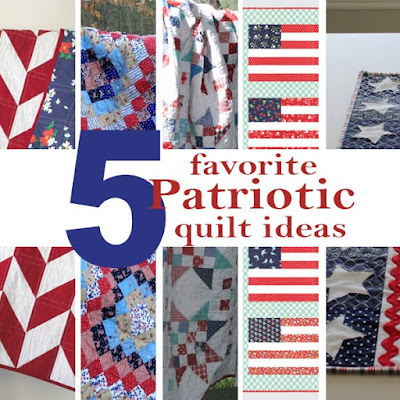 This one in the photo above was made by the Sarcastic Quilter as a Quilts of Valor quilt. You can see more here on her blog. 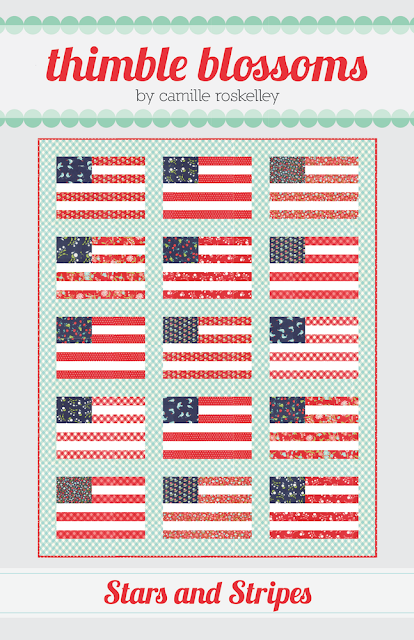 I'm not sure I'll get around to making this quilt anytime soon, but at least now I have a color scheme I want to use! 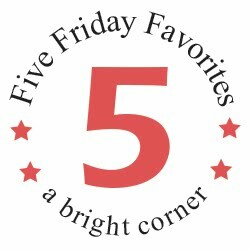 Thanks for following along on this week's Five Friday Favorites. Have a great weekend!